Janine M. Jacob grew up in Michigan but has been a resident of Martinsville since graduating from the Wake Forest University School of Law in 2001, where she was a board member of the prestigious Moot Court trial advocacy program as well as a legal research and writing teaching assistant for beginning law students. 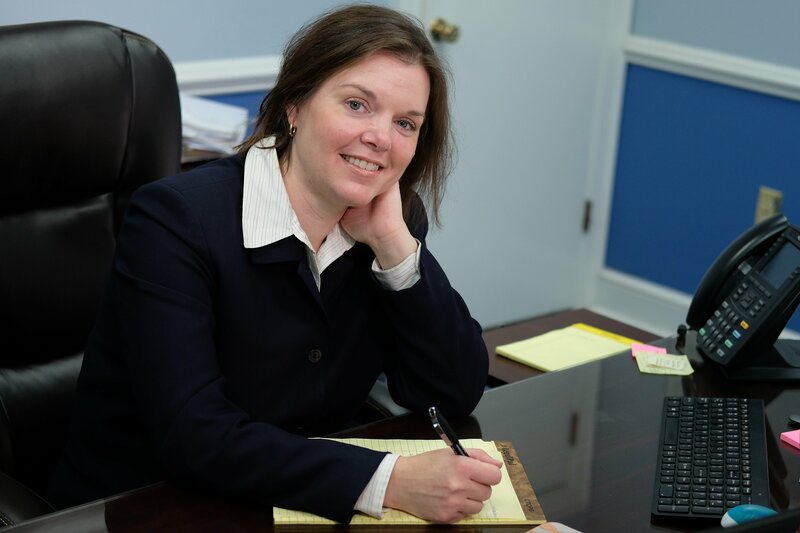 Janine has been engaged in the private practice of law since 2001, previously as a partner in a firm with offices throughout Southside Virginia, and most recently opening her own practice, Jacob Law Firm, P.C. 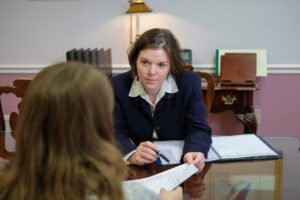 She focuses her practice in the areas of civil litigation, corporate and business law, creditors’ rights, real estate and domestic relations. Outside of the practice of law, Janine spends most of her time with her family and enjoys traveling, cooking and running.